In a couple of days I'm driving some distance to look at a '17 Touring. I've never owned a T.
Should I run away? The photos I've sen look good. If you think it is worth looking at, any suggestions of what I should look for? I intend to check the gas tank for goo and rust, crank it to check for freedom, compression and maybe spark, try to wiggle the wheel spokes, etc. I don't know if it sat on blocks or flat tires but will find out. Any suggestions from the mighty collective wisdom of this group? Without photos for US to see, can't even help to tell if it's a 17 or not. The best advice I have ever been given it to find someone already in the hobby to go and look at the car with you. Can you share/load the photos you have already received on this forum? This group might be able to give you some preliminary info. Jeff may know the car - between Traverse City and Leland. Mark E, I thought I had a guy lined up (owns a dozen Model T's and numerous older cars) but a medical issue is going to keep him close to home for awhile. He did look at the pictures and share his insights. Thanks Mark G, I'm familiar with most of those threads. I was just hoping someone who'd done something similar would share their experience. As to the car, it is a '17 as determined by the serial number and key features of the car itself - Black, lower radiator, windshield hinge above the division between the glass sections, oval tubing for the rag top, etc. I was schooled on that earlier when I posted a picture of my grandparent's first car, a '17 touring virtually identical to the one I'm looking at. With such an old vehicle I know there will be things I need to do and things I'll want to do. I'm just hoping to choose wisely enough that my wife doesn't think I'm and idiot. I edited unnecessary elements from the attached photo to keep it within forum limits without shrinking it too much. Contact Steve Hubert he lives in traverse city. Good guy he probably will know the car. Gilbert Hall is another guy lives just south of traverse city. These guys are very knowledgeable. I probably have their contact info around here if you contact me via email through the forum. Use my name with them. Nice looking car! The radiator looks like a honey comb radiator, might be a replacement. I'm kind of big on checking the wood frame under the car after spending several months re-wooding a 25 resto I am working on. Engine numbers are good to check to verify its a 17. Bring a small magnet to check the sheet metal work for excess filler. Turn the engine over with the hand crank to see if it is free. If he has it running all the better. 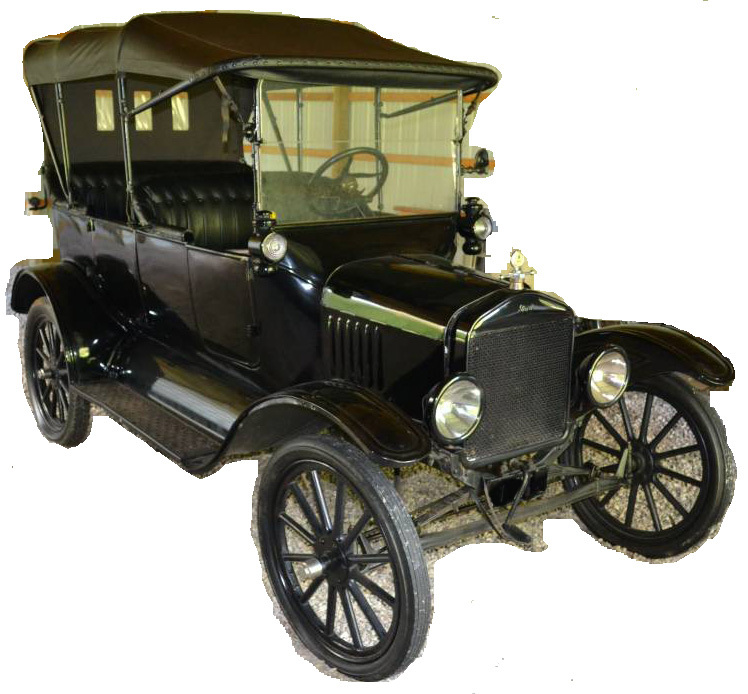 ps-my wife calls me an idiot every time I drag another Model T to my shop. Doesn't bother me anymore. I do not know that car but have seen it on craigslist, thats the touring with a roadster title. Looks good in the pictures, but at that price it should start easily, run great, purr like a kitten, drive great, with no and I mean no problems or issues. The roadster title would make me cautious, the title should match the engine s/n and be the correct year for the engine s/n. If the owner does not know how to start it and you do not know how to start and drive it, you should insist on a significant discount. An engine that turns over with compression is not an acceptable test for a t in that price range. If you cannot find someone local that can check it please let me know and I may be able to check it out for you or with you. I am about 1hr 45 min away, of course thats closer than you. Send me a private message if I can be of service.